A few months ago we reported on the NASA’s new Low-Density Supersonic Decelerator (LDSD), which looks like a flying saucer and is designed to land large payloads on places such as Mars. 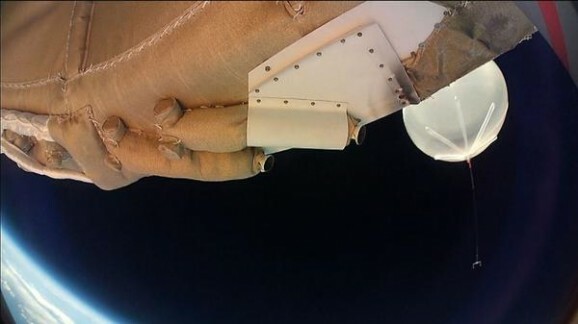 The first flight test of the LDSD happened in June at the Kauai Pacific Missile Range Facility, and NASA has just released footage of that flight as recorded by cameras on the craft. Many aspects of this test flight were unusual. Because the parachute on the LDSD is so large, NASA can’t conduct any testing in a wind tunnel. So this time, they launched the craft with a gigantic, 34-million-cubic-foot balloon, which pulled the it to approximately 120,000 feet. The device’s thrusters then started it spinning, which, while somewhat nausea-inducing, actually improves stability. Then a rocket took over, catapulting the craft to over 180,000 feet in just over a minute. When everything was ready, the decelerator deployed (which looks totally awesome in the high-resolution, high-definition footage). At this point, the test had already met its main goal, to simulate a Mars flight (minus the duration, of course). Then it was time to bring LDSD back. The craft plummeted at more than twice the speed of sound, which makes for pretty tough work. The first step in slowing it down is the Supersonic Inflatable Aerodynamic Decelerator (SIAD), which is what inflates around the device the way a ring inflates around a person in a pool. The 20-foot SIAD worked well, maintaining its integrity as it barreled through the atmosphere. Then the “ballute,” a parachute-balloon hybrid, deployed, setting the stage for the 100-foot parachute that is to actually slow the vehicle down to landing speeds. As you can see in the video, the parachute started tearing almost immediately. Part of the point of the test flight was for engineers to know how the chute worked (or didn’t, as the case may be), and where and when it started tearing as it bore the brunt of the speed and turbulence of the return to Earth. “We need to learn more about supersonic parachutes,” said principal investigator Ian Clark. They’ve already gotten to work on that. 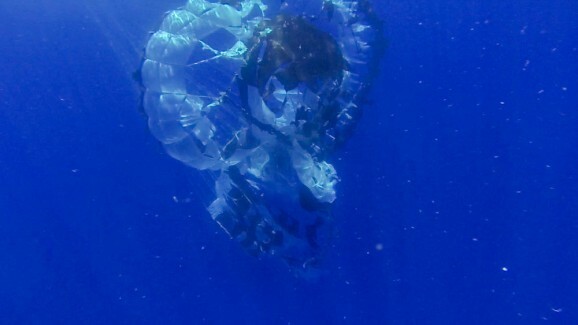 The craft landed in the ocean and was recovered by the Navy. 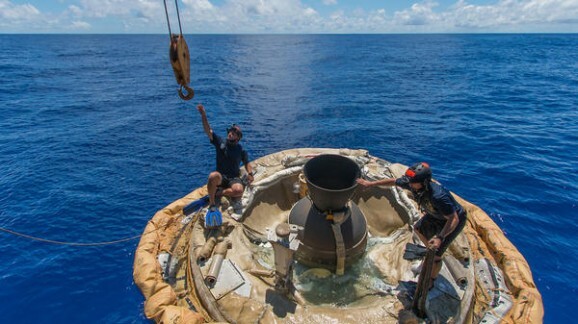 This test, as well as the tattered remains of the parachute, will provide useful data for the future, with another test scheduled for next June. Despite the parachute’s tough ride, the flight test was deemed a major success, especially because the SIAD and ballute weren’t initially included in the test plan. They’ve got some time before we’re ready to use the LDSD to land people on Mars, and it looks like they’re up to the task.